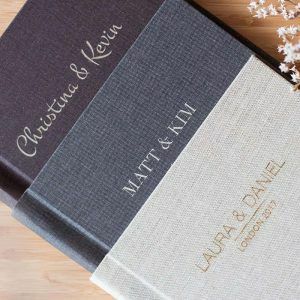 Whether you’re looking for your perfect wedding album, albums for parents or custom guestbooks you’re in the right spot. We’ve been manufacturing photo albums for over 10 years. 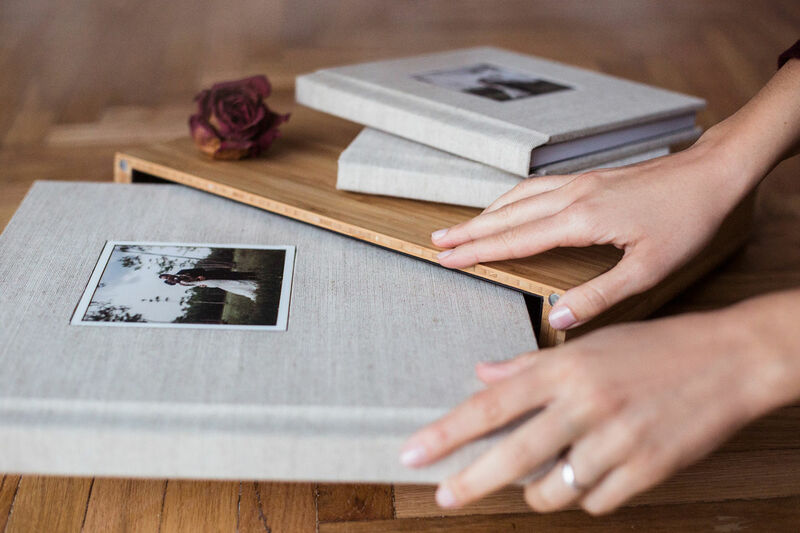 Each of our photo albums is handmade ensuring that the end result is a piece of art. 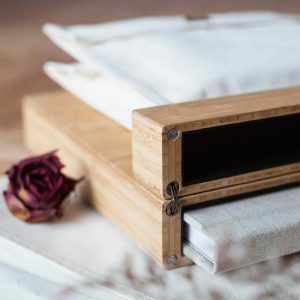 We strongly believe that your cherished memories should be kept where they belong – in one of our photo albums. Using our lay flat technology allows for a better storytelling. There is no gap between the pages so you can enjoy a perfect view of each photo. We use traditional premium photographic paper that lasts for a lifetime. Every time you open your album you will enjoy the same vibrant colors. Between something good and something great is attention to detail. That’s why we offer different styles of personalization: embossing, UV printing and laser engraving. You can have your initials, monogram or names on the cover for an extra personal touch. Start customizing your album now!